If you want to download Soma Mamageisha's album please sign up for her Newsletter! Exciting. Energetic. Unique. This is how we can describe the newest band of Soma Mamagésa, debuted in this year’s Everness Festival. The songs were composed by András Schlosser and Soma herself, orchestrated by György Lőrincz. The Hungarian, English, also mambo-jumbo lyrics were written by Soma. As Soma determined their attempts: the most important thing is to touch the soul, to elevate it with the tools of quaility entertainment, of course. She is more and more formed and characterized by the „music of the spirit”, therefore her aim is to reflect its intesity. Her idea is to help the audience exhibit their inner joyful-creative-ageless child. Steeped in spirituality, her lyrics are playful and witty. The style is unique and mostly characterized by catchy and playful melodies. Elements are borrowed from jazz, ethno, pop, rock and avantgarde. The songs are sometimes even coloured with the abstract in order to reach a psychedelic sounding. Besides, acting is an essential part of the show. Soma makes several characters come to life on stage: all of them enter on a different tone. The course of the concert is thoughtfully constructed. After the initial build-up, there comes the climax, the explosion and a faster paced conclusion – all serving to connect with the audience in the end. Instruments: guitar, doublebass, drums, safophone and electrical sax, piano and groove box. 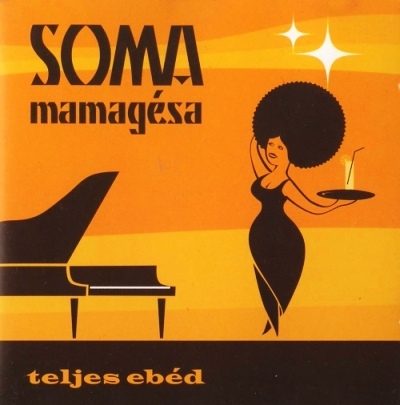 Soma Mamageisha's debut album with her best Jazz songs.